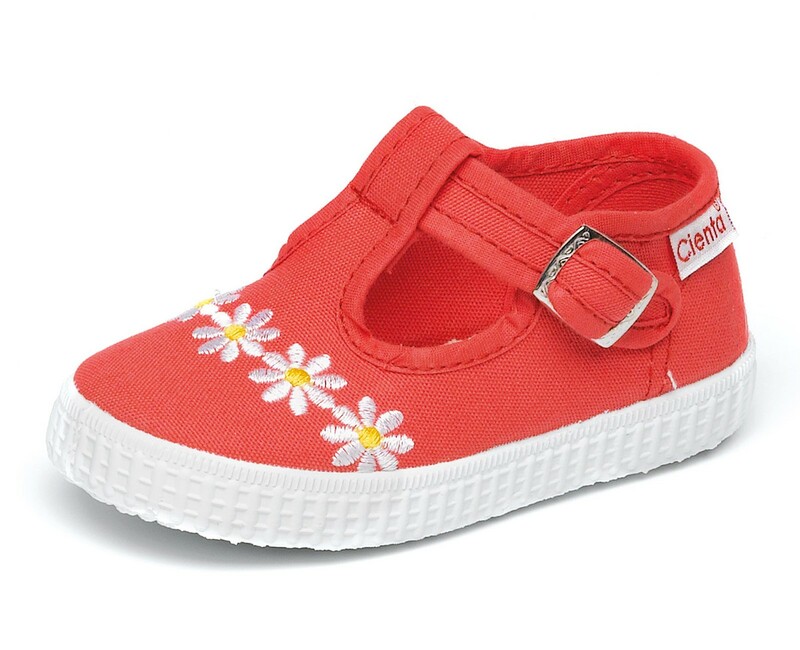 At Cienta we are experts in the manufacturing of children's footwear, using only natural raw materials to offer a lightweight footwear suitable for the needs of the youngest. The t-bar shoes are perfect for babies and their first steps. Our Zapatilla Pepito Margaritas is suitable for all occasions and a classic option that does not go out of style. The upper part is made with cotton and and it has a rubber sole to provide greater grip when walking. A comfortable and fresh style, you will love these t-bar shoes!